Phase I included initial outreach to, and engagement with, current island residents, as well as a preliminary land use and infrastructure survey of the island. The program team’s interactions with residents provided insight into residents’ priorities and revealed additional complexities to be addressed during subsequent phases. The team learned that residents’ values include privacy, seclusion, access to water, safety, flood protection, continued access to the island and maintaining and strengthening cultural identity. However, values vary widely from individual to individual—there is no single, homogenous set of community priorities shared by all island residents. The team continues to build relationships with each island resident to ensure this diversity of values and priorities is well represented in the development of a new community for Isle de Jean Charles. A final report on Phase I can be found here. Understanding and reflecting residents’ needs and their vision for their future community is the project’s highest priority. As part of the Resettlement’s planning phase, a series of public meetings and one-on-one conversations took place, with meetings continuing throughout the planning effort to ensure island residents have ongoing engagement with team members and the resettlement process as a whole. 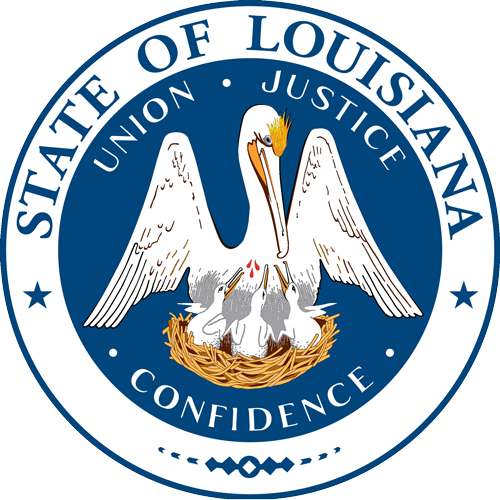 December 2016–June 2017: The state conducted an exhaustive site evaluation process throughout Terrebonne Parish. In May 2017, the state provided island residents an opportunity to visit potential sites for the new community. July 2017–December 2017: In July 2017, the Resettlement team hosted its third community meeting to discuss the pros and cons of the identified suitable tracts; to discuss general market and appraised values; and to take a site-preference survey of island residents. The state also issued an RFP for a master planner. A selection committee, which included representatives from the island community, chose a consultant team to develop a master plan. The planning team was introduced at the fourth community meeting in December 2017, and began to work with current and former island residents to solidify design plans and programming for the new Isle de Jean Charles community, including a structured retreat from the island. January 2018–September 2018: A steering committee comprising island residents and various island community stakeholders—including representatives from the United Houma Nation and Isle de Jean Charles Band of Biloxi-Chitimacha Confederation of Muskogees—convened six times throughout the master planning process. The steering committee serves as an advisory board and liaison between the state and the island community. The state held two design workshops in which planners, architects and current and former residents explored multiple design options that best expressed the values and priorities of the community. A separate academic advisory committee provides guidance to the planning team. The academic advisory committee includes local and national scholars who understand the environment and cultures of the region, as well as the complexities of resettlement processes. March 2018: The state placed a purchase option on the Evergreen site, the property a majority of residents selected during the site preference survey. The site is about 40 miles north of Isle de Jean Charles and consists of 515 acres of rural land near Schriever in Terrebonne Parish. This selected site was overwhelmingly preferred (28 out of 38 distributed surveys, or 73.7 percent) by island residents. December 2018: Following completion of site due diligence, including federally required environmental reviews, the Louisiana Land Trust, on behalf of the state, purchased the Evergreen Site for development of the new community. The state continues to conduct outreach and strengthen relationships with island residents through varied mechanisms as well as by visiting the island about once a week. Phase III is the execution phase, during which the state will implement the master plan created during Phase II. Phase III will consist of completing the next phase of the environmental review, finalizing site design work, acquiring permits, laying infrastructure, constructing housing, initiating business development activities, launching workforce training programs and helping residents move into the new community. To view the program’s eligibility requirements, click here. The Resettlement of Isle de Jean Charles is a process filled with both relief and uncertainty for islanders. Most islanders know they should move; but for many, this move will take them away from all they have ever known. Several residents have expressed concern about the distance between the new community and the island. In interviews with the Resettlement team, island residents revealed they see Isle de Jean Charles as a place of security and isolation. They embrace the rural setting—the quiet and the tranquility. It is a place where they know each other and their history, and a place where both independence and care for neighbors and family are core values. Despite its challenges, residents know how to live on the island. They are resilient and ingenious “do-it-yourself” individuals who can repair their houses and fix their cars, heaters and pipes. They know how to prepare for storms and how to recover afterward. Some of these skills are transferable to the new site, but others will be lost. As one islander said, "I have never fished in fresh water; I have only fished in salt water." He went on to describe how he views the difference and the magnitude of change it requires. This is just one of the many changes islanders are facing. Although the proposed move is only 40 miles north, in many ways, it is perceived as a world away. Parting from the island will be a transformative process, as individuals and families adapt in significant ways. The Resettlement team will continue to work closely with the community to ensure that throughout this leave-taking and the losses it entails, there are new opportunities, new connections and a new peace and security to be found.